Galerie Langhans, which has mounted the first European retrospective of the photographer Miyako Ishiuchi, who represented Japan in the 2005 Venice Biennale, has an unusual history. The Langhans family was a well-known dynasty of portrait photographers whose customers comprised the great and good of Europe, the King of England among them. After the Communist seizure of power, they were driven into exile. When the family reclaimed their home several years ago, they discovered nearly nine thousand glass-plate negatives hidden away—each one a gem. A small gallery in the house offers carefully selected exhibitions. 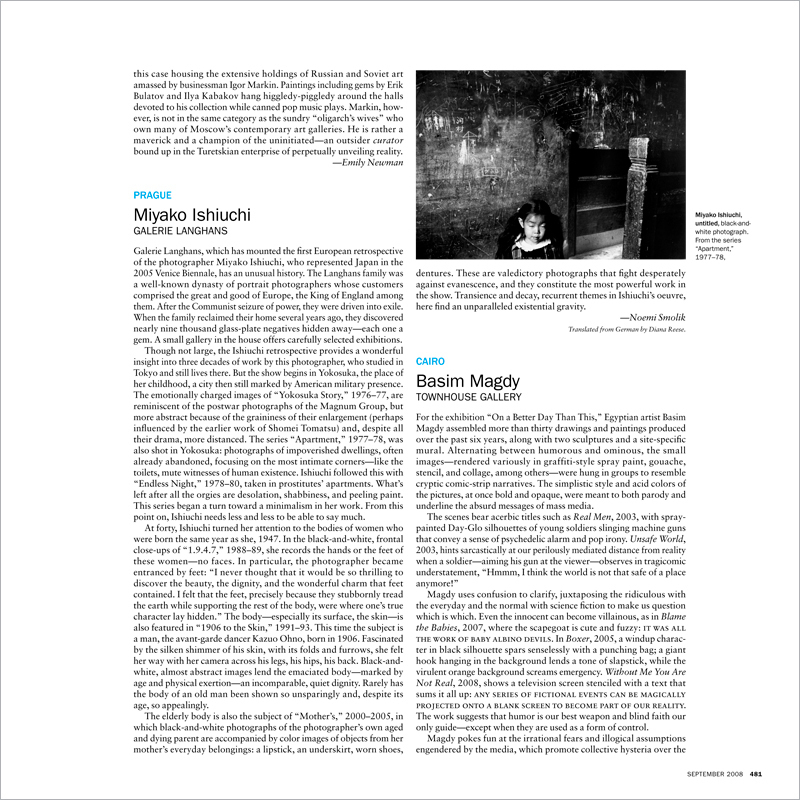 Though not large, the Ishiuchi retrospective provides a wonderful insight into three decades of work by this photographer, who studied in Tokyo and still lives there. But the show begins in Yokosuka, the place of her childhood, a city then still marked by American military presence.